This is Marlene from ScrappinCookie, Guest Designing for Jaded Blossom March 2018. Its been such a FUN month. I can't believe its already over! A very special THANK YOU to Candace and Michelle for having me over. Since tomorrow is Easter, for my last project I decided to do an Easter Egg Basket. 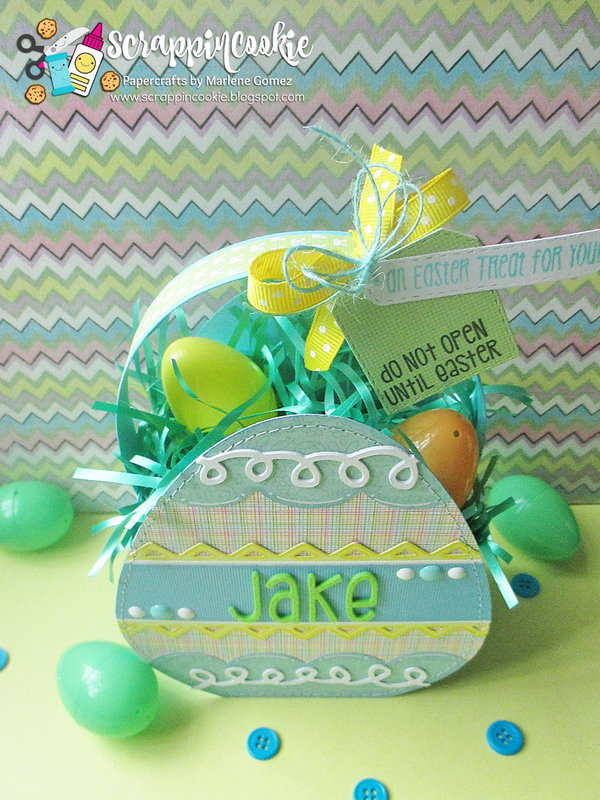 I used the My Scrap Chick Flower Egg Basket and embellished it with some Jaded Blossom goodies. I wanted to personalize the basket for a special little boy, so I die-cut the name out of craft foam using the Jaded Blossom Alphabet Dies. I just love the way it turned out! The dies cut right through the foam beautifully. To the handle, I added a cluster of tags. 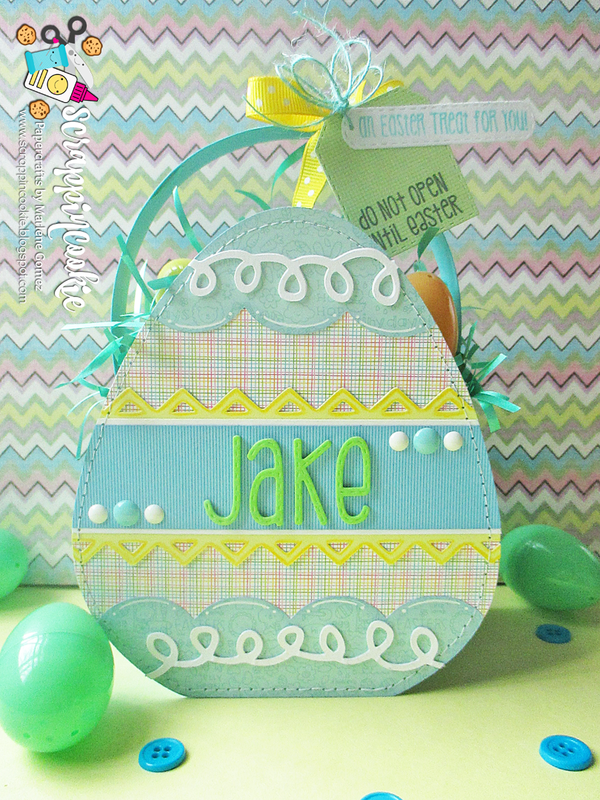 I stamped the "An Easter Treat for You" from the Monthly Spotlight Stamp Set Easter Treats 2 onto a Mini Tag Dies. 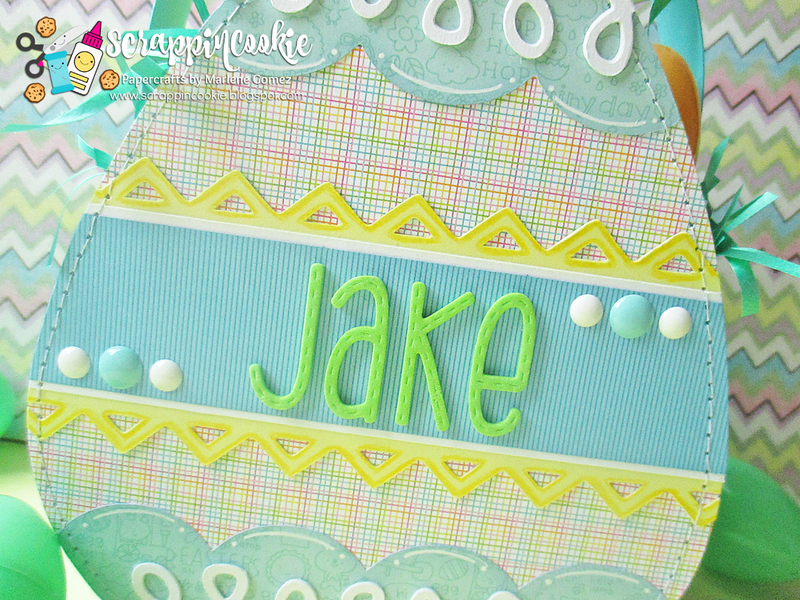 I then layered that on top of a tag from Jaded Blossom Sweet Treats Die. 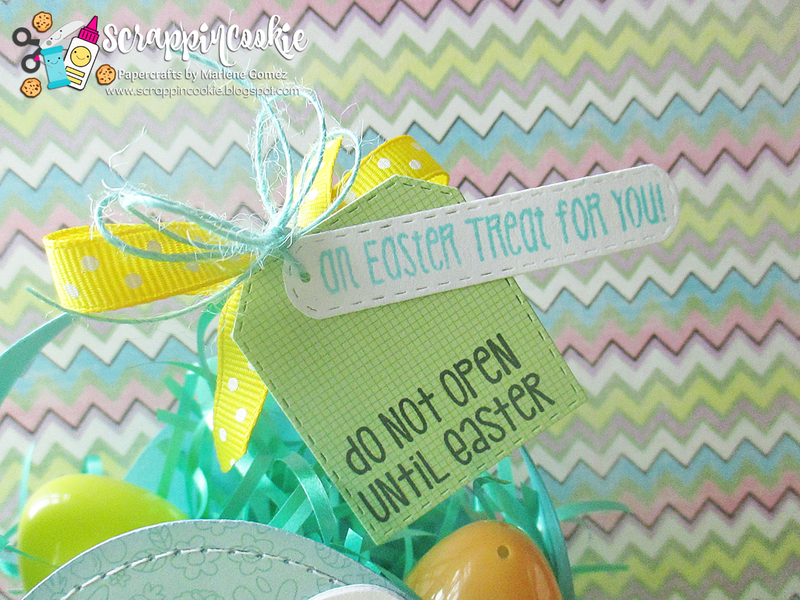 I stamped the "Do Not Open" Sentiment from the Jaded Blossom Bunny Mail Set. Even though tomorrow is Easter, you still have time to put a quick Easter treat together. Jaded Blossom makes it so easy with all their stamps and dies! I had such a WONDERFUL time! Thank You for all the kind and sweet comments left on blog, facebook and Instagram throughout the month of March! This is adorable!! Love it! You did as amazing job as this March's Guest Designer! Oh this is so super cute!!! You did so great all month! !